Quick Connect "F" Matching Transformer. Converts 300 ohm to 75 ohm. 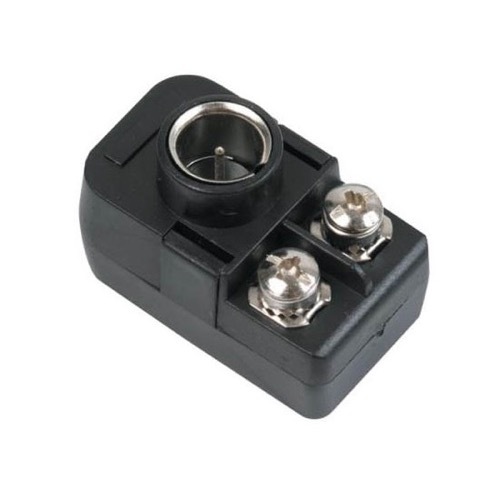 Use to convert the 300 ohm twin lead wire to a 75 ohm "F" type connector. Connect 300 ohm flat wire stripped or wire spade lugs under screw terminals and tighten. Quick connect "F" plug is now ready for convenient connection to TV, VCR, etc.